Anawangin! Every time i hear that place, i would always think of Sea, Mountain, Nature Trippin and yeah i got it all when i finally landed my feet in the sands of Anawangin Cove in Brgy San Antonio Zambales. Among the three coves in San Antonio, Anawangin outranks Nagsasa and Capones in terms of popularity. It’s awesome, breath taking and for a nature lover like me, it’s beyond perfect! When the sky meets the mountains and reached the sea. This has been planned 2 months ago before I got transferred here in Makati. It has always been a dream for me to step into Anawangin Cove and its neighboring island and finally that dream turned into reality when I gazed the beauty of the island. I am still familiarizing myself and say like adjusting to the new environment where I am right now but this should never hinder me to push through with this get away. I woke up early as I am too excited for this adventure. It will really be an adventure because there’s no electricity and working signal in the place. As I remembered as of this writing, if you’re coming from Manila please take note of the following schedule of departure from Cubao Victory Liner Terminal. There are only 4 trips in a day that will take you to Iba Zambales the drop off point for Anawangin and the rest of the surrounding islands. The following trips are as follows: 630 AM, 930 AM, 1230 PM and 330PM. One way trip would cost you Php 270.00 travel time would be 4-5 hours depending on road conditions. 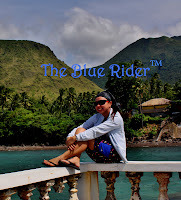 Its a smooth trip from Manila to Zambales if you are riding an air conditioned bus. There’s just one stop over for you to eat and maybe take a break from a long travel and its in Pampanga. After which the trip will continue until you reach San Antonio, Zambales. We were so tired and hungry when we arrived, so we did a short stop at the local market, drop by the nearest eatery and grab something to eat before heading to Vemar Resort. Adventure, street food, market place, blending with locals and i got it all in just one trip. I had sinigang na hipon for lunch and then take out a quarter size fried chicken with a cup of rice for dinner to be taken to the island. We then took a local transportation (tricycle) and paid Php 30.00 to take us to Vemar Resort where the boat is waiting for us to take us to the Cove. After roughly 20 minutes of traversing a rough and bumpy road, we reached the resort and then off we go to Anawangin. Fair winds and calm seas favored our voyage as the boat easily sliced through the glassy waters. Traversing the rugged coastline of San Antonio, Pundaquit to Anawangin took us roughly an hour, but we arrived safely with smiles curving in our faces. Campsite ran from both ends of the beach. Each having basic amenities like open cottages, water sources, bathroom and toilet and a 24-hour store selling canned goods, water and almost everything you need to survive in the island. A piece of advise though, better make yourself ready in terms of the stuff mentioned as they maybe overpriced in the island. While everyone is busy swimming, the adventure seeking spirit got activated in my senses and off I went to a short trek to the mountain just few meters away from our cottage to get a perfect panorama view of the cove. It’s slippery so I took off my slippers and started trekking barefooted. I want to explore what lies beyond the famed cove and shores of Anawangin in an Aerial Perspective. As they always say, behind every hardship is a reward and I got it when I witness myself the breath taking and stunning view of the cove from the top of the mountain. I can say its really “sulit” (worth it) going up there. This Anawangin Adventure will never be complete in my own stand point without that short yet satisfying trek and witnessing a spectacular aerial view of the entire island. Oh, aside from that, I’ve met a couple of friends that made the trek a bit memorable. After the drinking and grilling session, we call it a day, they all went inside their respective tents to sleep. I just found a new place to sleep in a Hammock. Yeah, its one hell of a great sleep and its fun, but when i woke up, i felt a little discomfort maybe because I slept without any headgear and its a bit foggy during the morning. Nevertheless, I had a great sleep. Wake up call at 530 in the morning to prepare for our Island Hopping adventure for that day. Off we went to Capones Island, the neighboring island across Anawangin. They say there is a lighthouse in the island but no one’s brave enough to go there. I tried my best to cross the other side, but since I am alone, i just let it pass. Maybe next time, I will make sure to land on the other side so its gonna be easier for me to trek to the lighthouse. We missed the Nagsasa Cove though in this trip, i dont know what happened. Maybe next time. Aside from a cheap boat ride to reach the coves, Anawangin and the rest of the island is a crossroad for all types of nature lovers – hikers, beach lovers, mountaineers, or couch potatoes, anyone, any who. If you’re an adrenaline junkie who seeks for an adventure nearby, then take a trek from Pundaquit to the cove, but if you are the type who prefer to just enjoy the beach, then you can take a boat ride. If you are the type who loves outdoors but doesn't straying too far from your comfort zone, camp out for a night and besides, they have basic amenities, Anawangin is the place to be. Get yourself immersed and be one with the nature. If you want something peaceful and at the same time rejuvenating, this is a great place. Not only that I've seen a great place and was able to meet new set of friends , this overnight camping trip opened my eyes to a whole new perspective in terms of traveling and will forever be embedded in my traveler’s spirit.